Check in with yourself to establish what mental patterns may be causing low energy levels. Anxiety symptoms include feeling worried, irritable, and nervous. Symptoms of depressioninclude feeling sad, restless, and hopeless. Both conditions can lead to unhealthy sleep patterns and cause tiredness. The connection between hydration and sleep. (n.d.). Gidus T. (2017). Eating to boost energy. Healthy Families BC. (2013). How to stop feeling tired all the time. Mayo Clinic Staff. (2017). Anemia. Mayo Clinic Staff. (2017). Cognitive behavioral therapy. Mayo Clinic Staff. (2018). Allergies. Mayo Clinic Staff. (2018). Fatigue. 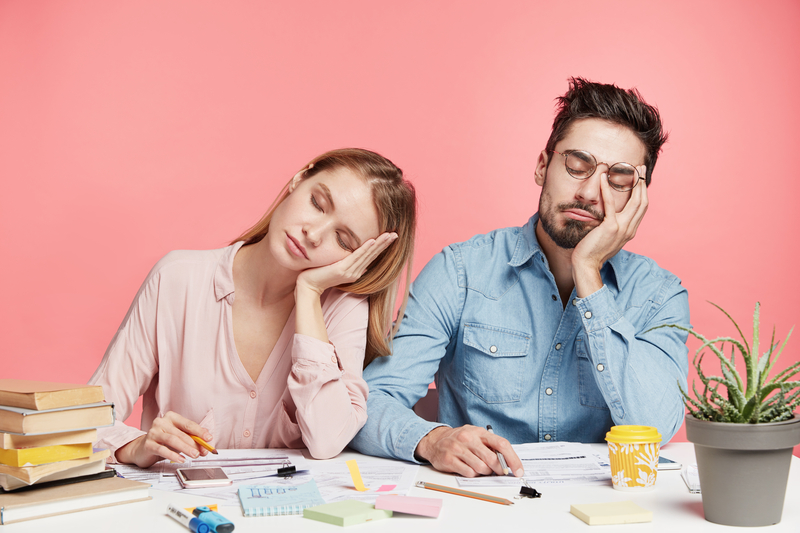 Self-help tips to fight tiredness. (2108). Simon S. (2018). How to quit smoking. Strong MJ. (2017). 7 simple steps to boosting energy. Wellness Team. (2013). 5 ways to fight fatigue with food.